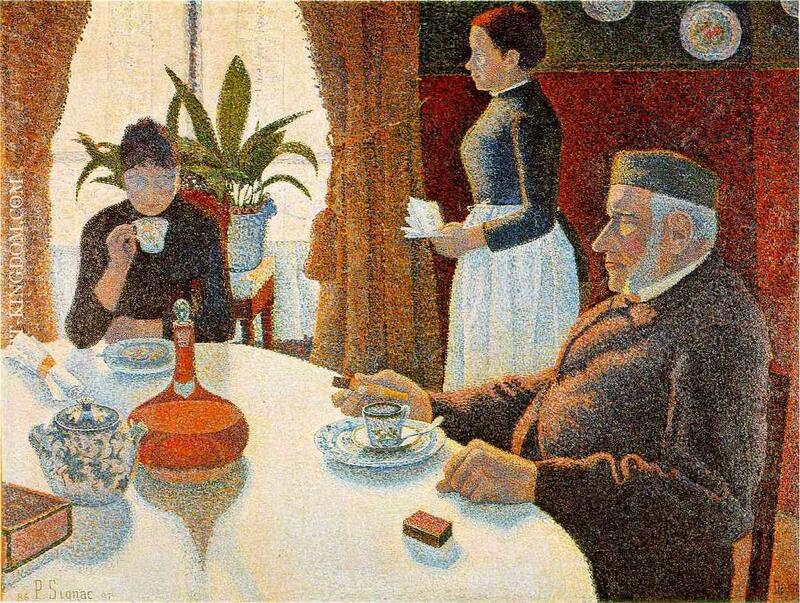 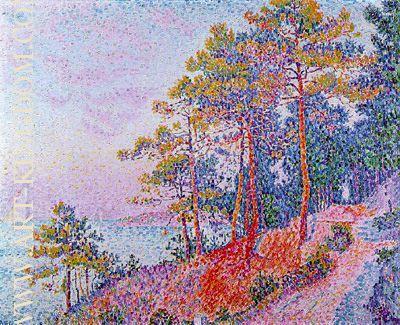 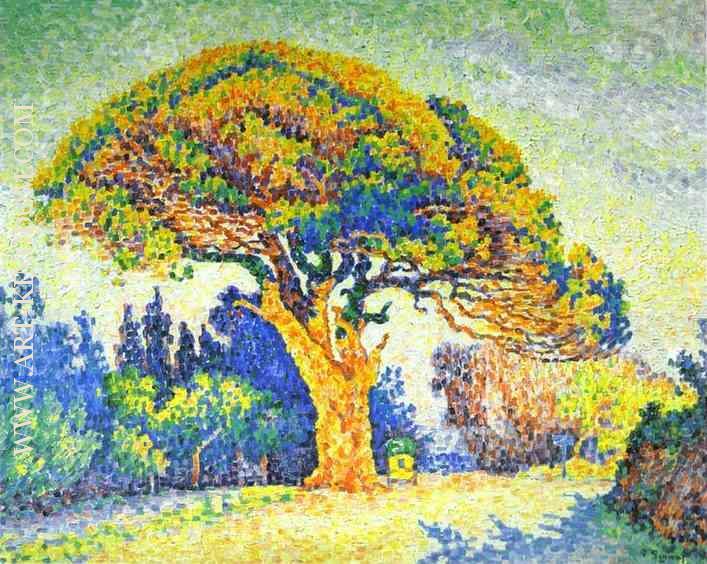 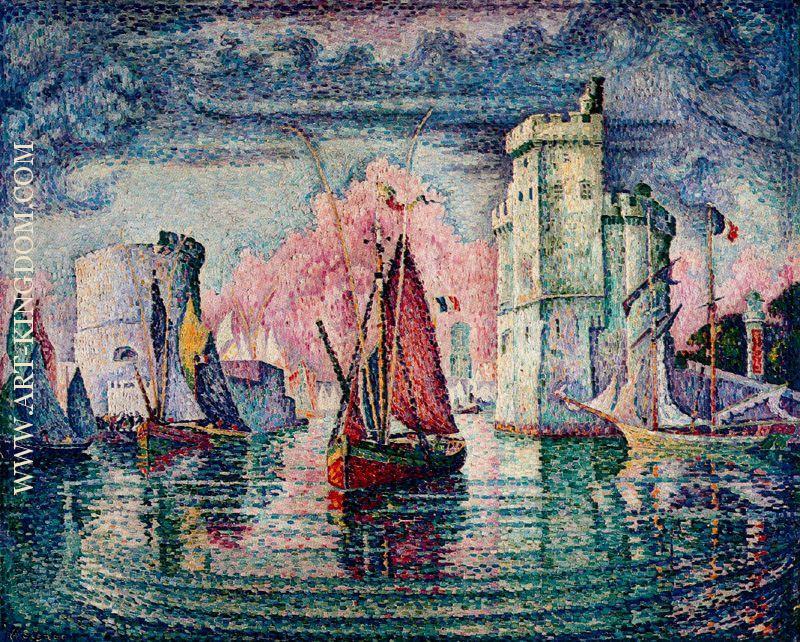 Paul Signac (French pronunciation: ​[pɔl siɲak]; 11 November 1863 – 15 August 1935) was a French neo-impressionist painter who, working with Georges Seurat, helped develop the pointillist style. 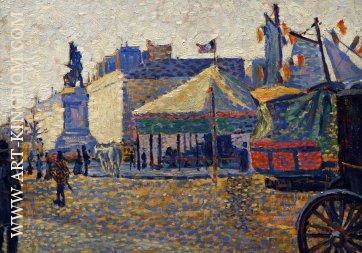 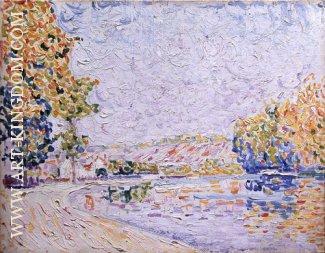 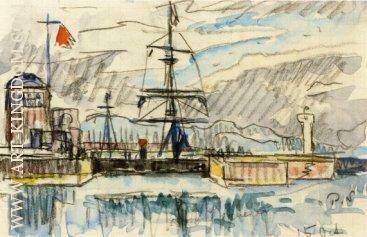 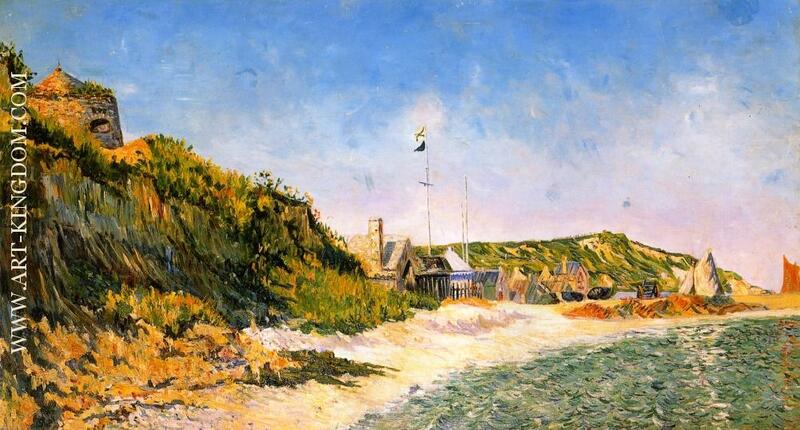 Paul Victor Jules Signac was born in Paris on 11 November 1863. 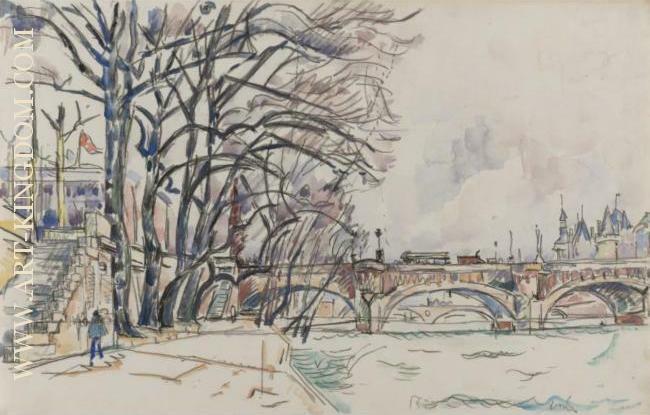 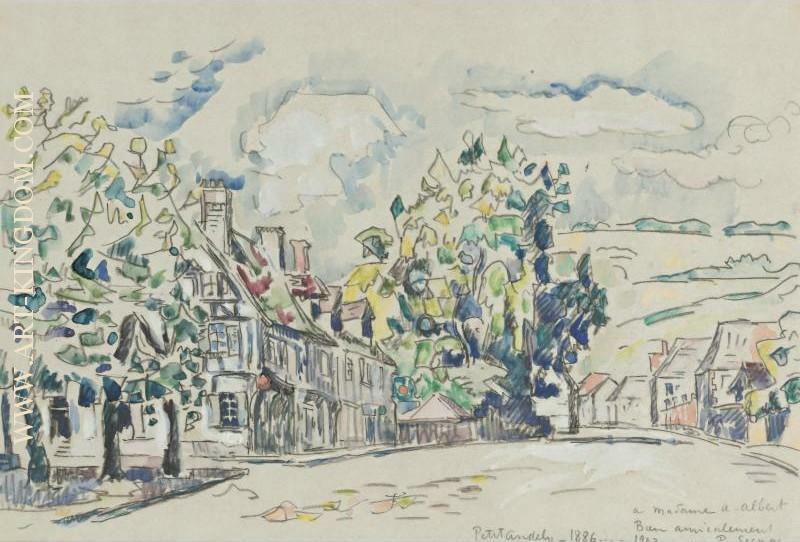 He followed a course of training in architecture before deciding at the age of 18 to pursue a career as a painter after attending an exhibit of Monet's work. 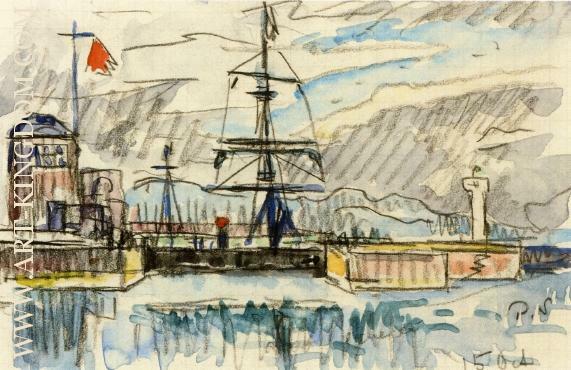 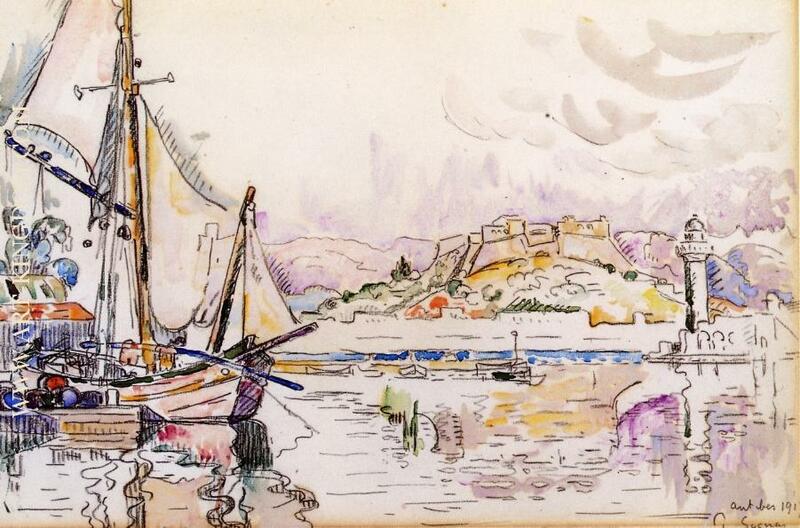 He sailed around the coasts of Europe, painting the landscapes he encountered. 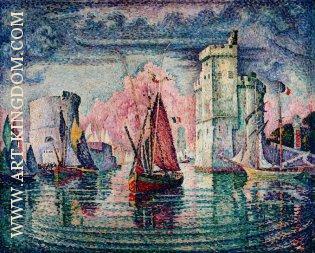 He also painted scenes of cities in France in his later years. 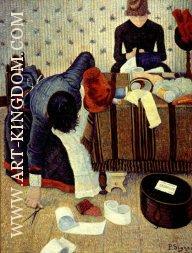 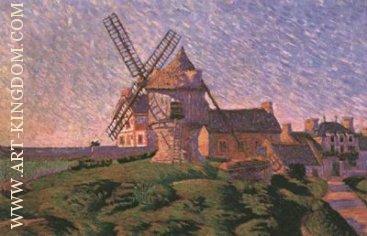 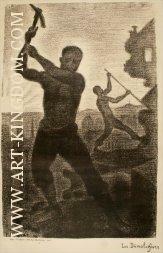 In 1884 he met Claude Monet and Georges Seurat. He was struck by the systematic working methods of Seurat and by his theory of colors and became Seurat's faithful supporter. 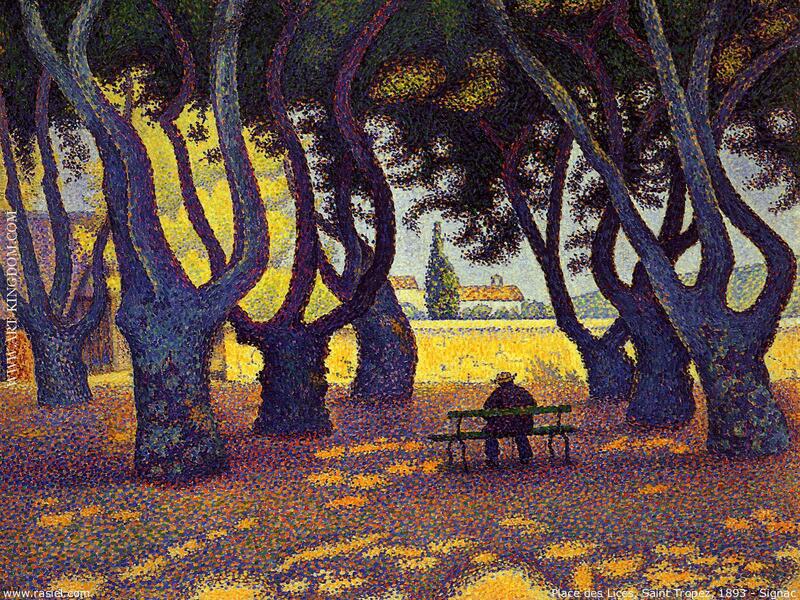 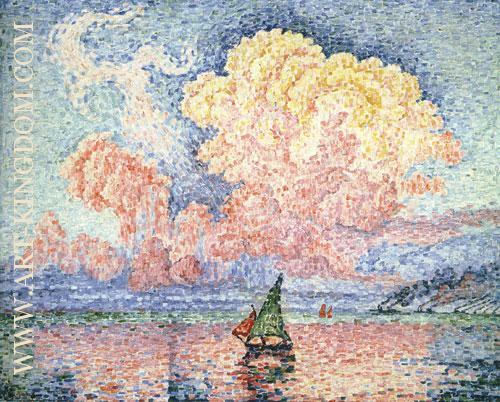 Under his influence he abandoned the short brushstrokes of impressionism to experiment with scientifically juxtaposed small dots of pure color, intended to combine and blend not on the canvas but in the viewer's eye, the defining feature of pointillism. 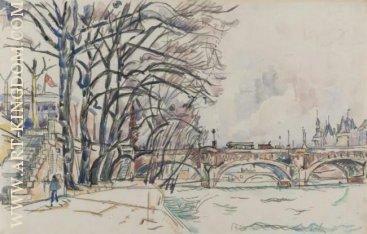 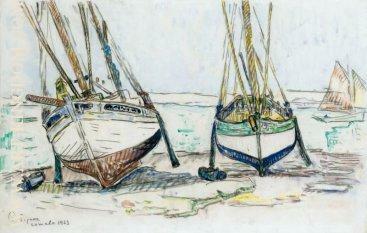 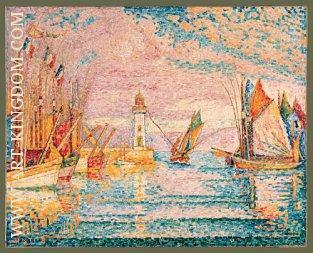 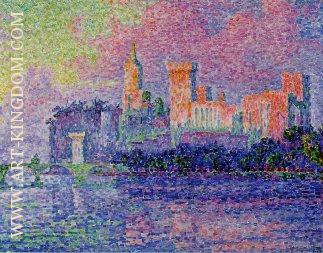 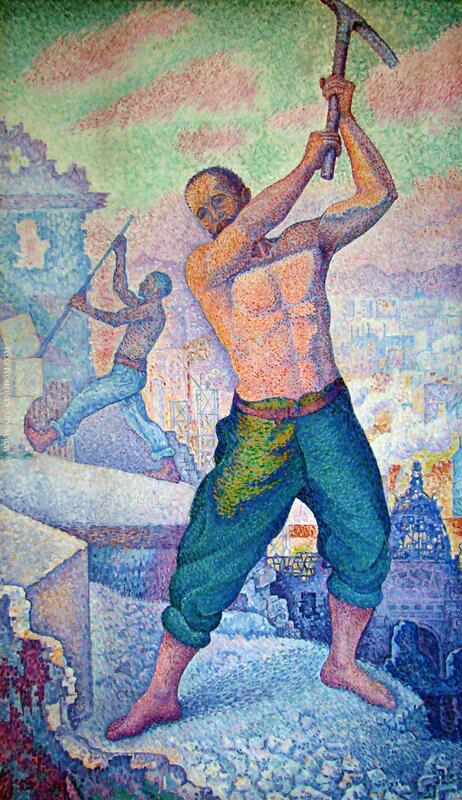 Signac himself experimented with various media. As well as oil paintings and watercolors he made etchings, lithographs, and many pen-and-ink sketches composed of small, laborious dots. 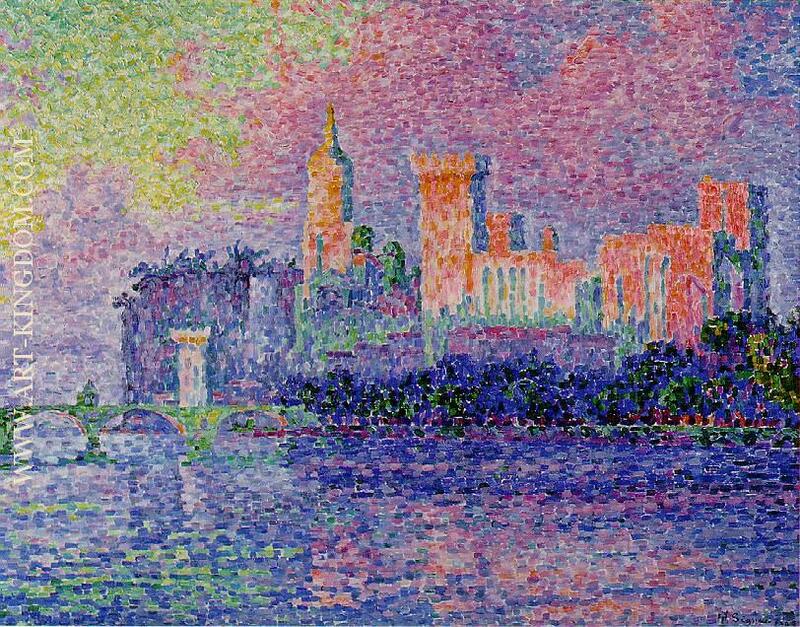 The neo-impressionists influenced the next generation: Signac inspired Henri Matisse and André Derain in particular, thus playing a decisive role in the evolution of Fauvism. 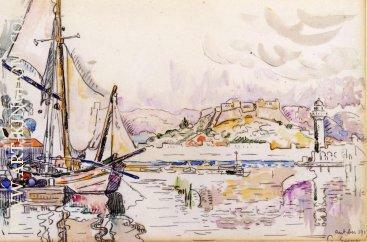 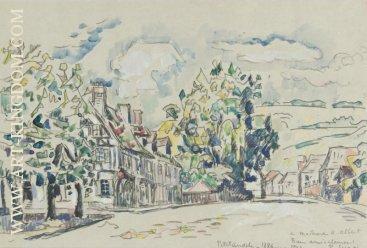 As president of the Société des Artistes Indépendants from 1908 until his death, Signac encouraged younger artists (he was the first to buy a painting by Matisse) by exhibiting the controversial works of the Fauves and the Cubists.Signac served as a juror with Florence Meyer Blumenthal in awarding the Prix Blumenthal, a grant given between 1919-1954 to painters, sculptors, decorators, engravers, writers, and musicians.